Sunday June 2, 2019 at 3 pm – Online Facebook Performance – Philadelphia: Composers and Colleagues – Solitudes – Jennifer Higdon and Carmella – Tony Miceli. 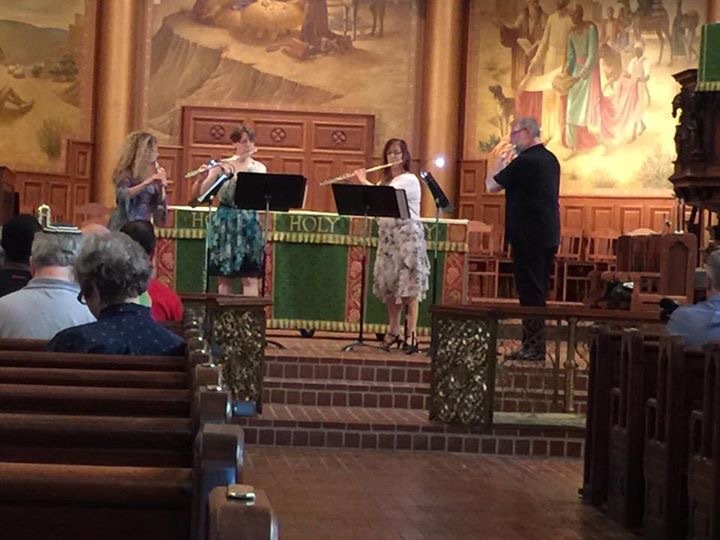 The Philadelphia Flute Quartet, now in its fourth season performs regularly throughout the Philadelphia area. Past engagements include: Concerts on the Square, Rittenhouse Soundworks Musical Gatherings, Afternoon Music Club, the Andrea Clearfield Salon, Arts at St. John’s, the Sunday Concert Series at the Watermark at Logan Square, Ideas Bookstore, Cheltenham Center for the Arts, Concerts by Candlelight, the Pocono Flute Society, the National Flute Association Annual Convention, Music at Abington, St. William Sunday Concert Series and for the Free Library of Philadelphia. The PFQ recently performed on the radio for the Live from the WRTI Performance Studio. Copyright © Philadelphia Flute Quartet.